Welcome to Mischief Monday from the Bayou, I’m glad you stopped by today! Snoopy’s Dog Blog, My Brown Newfies, and Alfie’s Blog host this mischievous blog hop. I appreciate them providing an outlet to tell stories about the crazy antics of our dogs and cats. How could this face be guilty of mischief? idea has sent my mind into a battle of puppy love and puppy trouble. 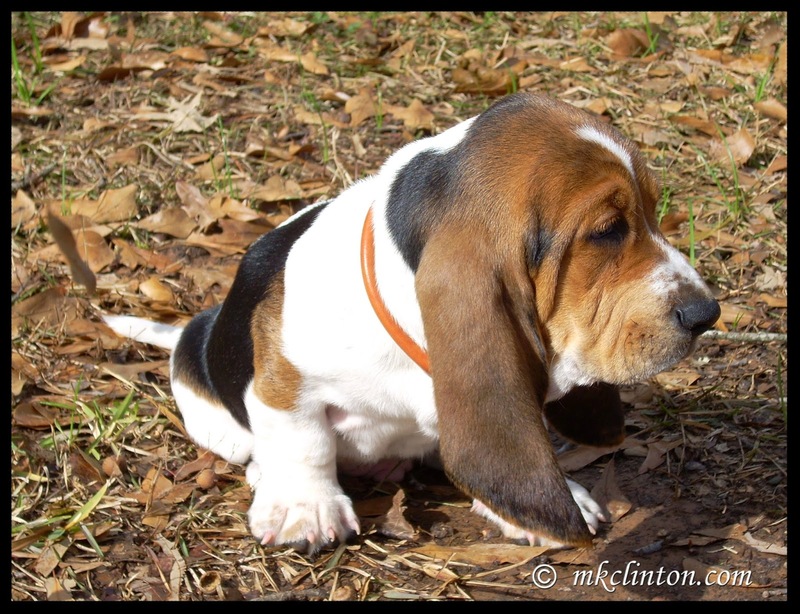 Of course, one look at Bentley’s puppy photos makes me forget any trouble that he may have been. That's the problem, I know at times he could be a handful. 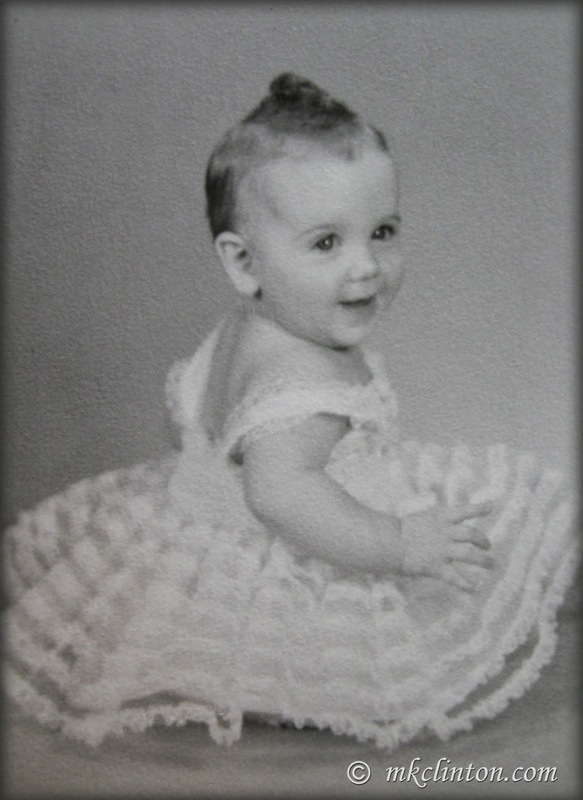 I remember very vividly a time when he was probably no more than three-months old. He may have accidentally caused a little bit of trouble. In Bentley’s defense, the mischief was dropped at his big puppy paws. He was in the bedroom and I got down on the floor to snuggle and play with him. We wrestled and got puppy kisses for several minutes. Here is a riddle for you. What’s black & white and read all over? 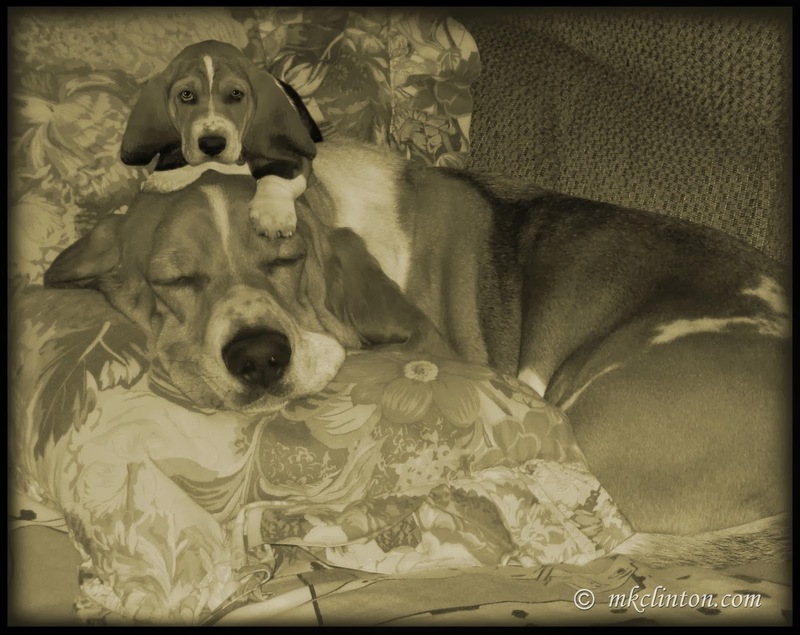 It’s Dachshund Nola and Sugar the Golden Retriever’s Black & White Sunday blog hop! If you would like to join us, just click on either of our host’s name or the icon at the bottom of this post. Of course, if you just came to visit the Bayou, that’s terrific, too! 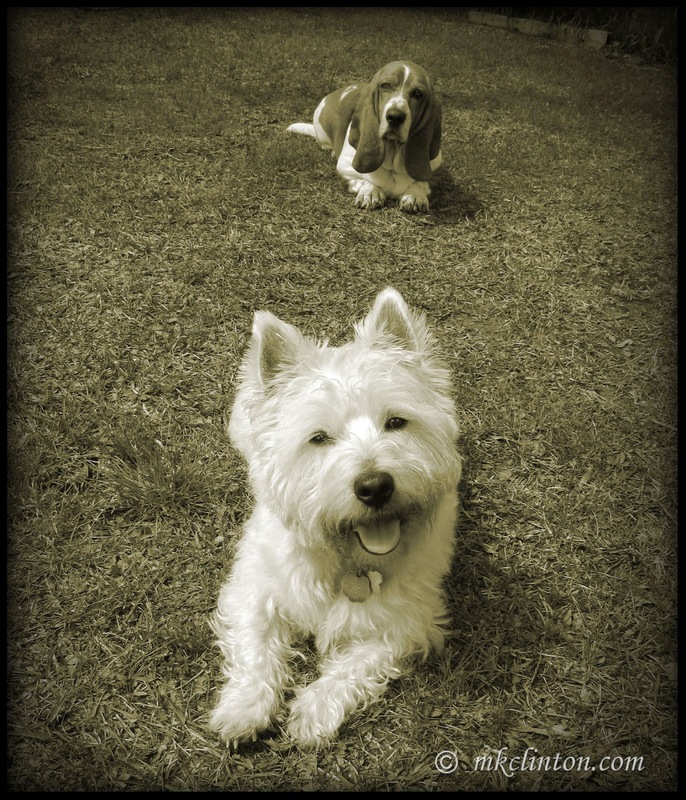 For Sepia Saturday, I posted a photo of the boys titled, Happy in Sepia featuring Pierre’s happy face. 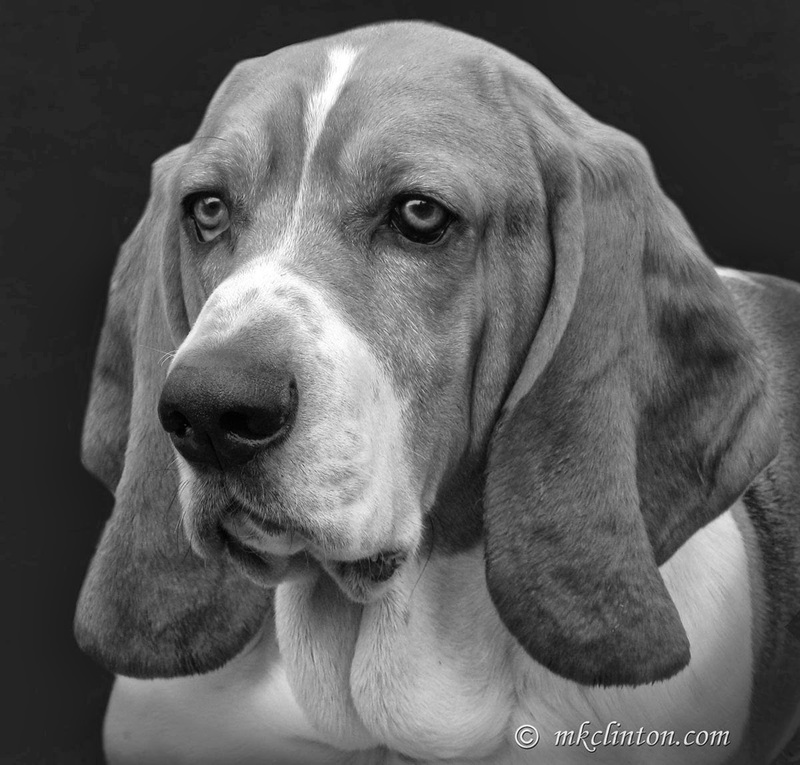 It seemed appropriate that for Black & White Sunday that I should feature Bentley in Handsome in Black & White. Welcome to Barking from the Bayou’s Sepia Saturday. We always love joining our host Ruckus the Eskie for this awesome blog hop. There’s not much to read, but lots of terrific sepia photography. Participating in Sepia Saturday is very simple. All you need is any sepia photo, grab the badge, and link back to Ruckus. I strive to be as happy as Pierre is every day. I am so excited to announce that I have been invited to become a co-host on the Pet parade Blog hop! My cat friends, Rascal and Rocco, Jan’s Funny Farm, and Basil the Bionic Cat have previously hosted it. Although there are dogs living with some of these bloggers, they are mainly cat blogs. Of course, they love cats, but they wanted some dogs to bark with them. Bentley and I were so honored to be asked to join in the co-hosting duties with Jenna from Love is being ownedby a Husky. We promise not to chase the kitties, although we will happily follow them! children. That’s the only reason I could spend fifteen years working with them. What I don’t love or like even a little bit is children that tease my dogs. You know the type that I’m talking about, don’t you? They bark at your dogs, stick their hands through the fence, or try to pet them without asking permission. It is obvious that some parenting skills are lacking. All children should be taught how to behave around dogs. I have long held the belief that children learn how to treat animals and other humans by watching their parents. Guess what day it is? 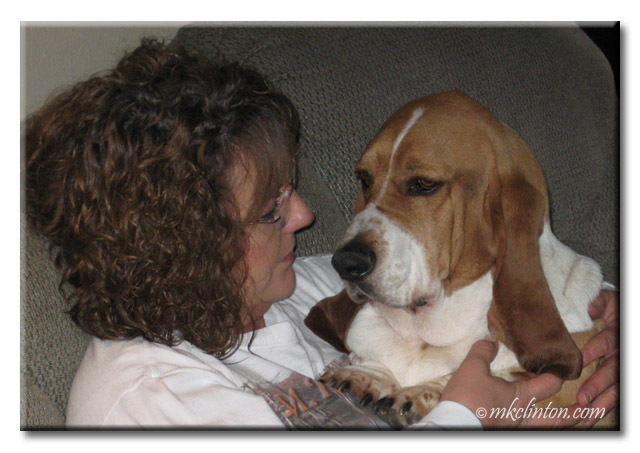 It’s BlogPaws Wordless Wednesday! Did you think that I was going to say “Hump Day” like that camel? Today is a no words necessary blog hop and it’s your opportunity to see some awesome photos! Be sure to hop to the other blogs participating. Since you don’t have a lot to read, you can visit more of your favorite blogs and discover some new ones. Happy Tasty Tuesday and Tuesday’s Tails. This is the day where we join in the delicious Tasty Tuesday blog hop. Kol’s Notes, and Sugar the GoldenRetriever host this delicious hop. As we do each Tuesday, we are also teaming up with Dogs ‘N Pawz for Tuesday’s Tails. Please hop and share the adoptable dogs and cats featured on this great hop. I’ve thought a good deal about mischief recently. Mostly, I have been recalling puppy shenanigans. I thought these stories deserved being told on Mischief Monday hosted by Snoopy’s Dog Blog, My Brown Newfies, and Alfie’sBlog. These three pet bloggers know mischief and prove it each Monday with hilarious stories. Be sure to hop over and see what their crazy canines are doing. As most of you know, we have our granddog, Pierre the Westie living with us. He will be moving in with his mommy and daddy in August. That means Bentley will be an only dog. While he loves having our undivided attention, I know he needs a little friend. Welcome to the Bayou, thanks for stopping by today. Each Sunday, I join my friends Sugar the Golden Retriever and Dachshund Nola for their wonderful Black and White Sunday photo hop. If you’d like to join in the fun, simply follow the instructions on either of our host’s blogs by clicking their names above. Happy Sepia Saturday! I hope that you had a great week. If you missed any posts, simply scroll down or click archives on the left sidebar. 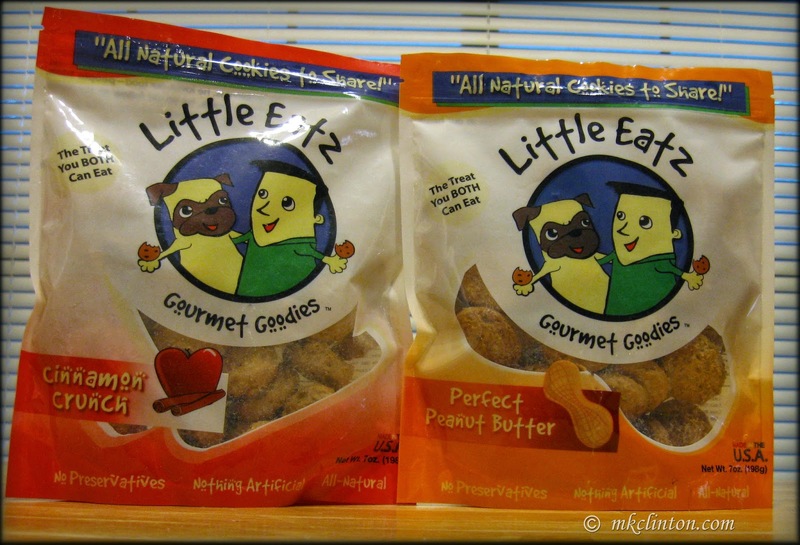 Today is the LAST day to enter for a chance to win 3 bags of Little Eatz Gourmet Cookies. Click on the Little Eatz Giveaway tab at the top of this page. These cookies are crazy delicious and the dogs love them too! That’s right; you and your dog can share these treats! Be sure to enter before you hop along! You were a cute little pup!" Hey, y’all! It’s Bentley and I am doing today’s post as a birthday present for my mom. Today is not just the first day of spring, but it is also her happy birthday! She is really, really old. Seriously, in dog years, she would rival Methuselah! I thought it would be fun to turn the tables and interview her. I’m sure that she will be very excited to know that she can enjoy her day and leave the tough questions to me. Bentley: “Okay, I know that you probably bought your popcorn when you first went inside. I was just trying to have your back. Let’s talk about the internet back when you were a kid. Did you have our own laptop? "Mom said her tv looked like this. That's a tv dinner on the screen." This interviewing stuff is fun! Bentley: “As many pictures as you and Dad take of us, you’d be up to your bifocals in debt! I’ll bet you are happy that you lived so long that they invented all of this cool stuff. How about traveling? Were you aboard the Nina, the Pinta, or the Santa Maria? You were scared that you were going to fall off the edge of the earth, weren’t you? It’s Wordless Wednesday hosted by BlogPaws! I hope that your hump day is spectacular! It’s the last official day of winter. That’s a great reason to smile! Another reason is that you can enjoy blog hopping without having a long post to read! Today, you can enjoy great photos and only one or two sentences. Be sure to visit our hosts! Bentley is just hangin’ out! Little Eatz Gourmet Cookies. The treat you can share together! 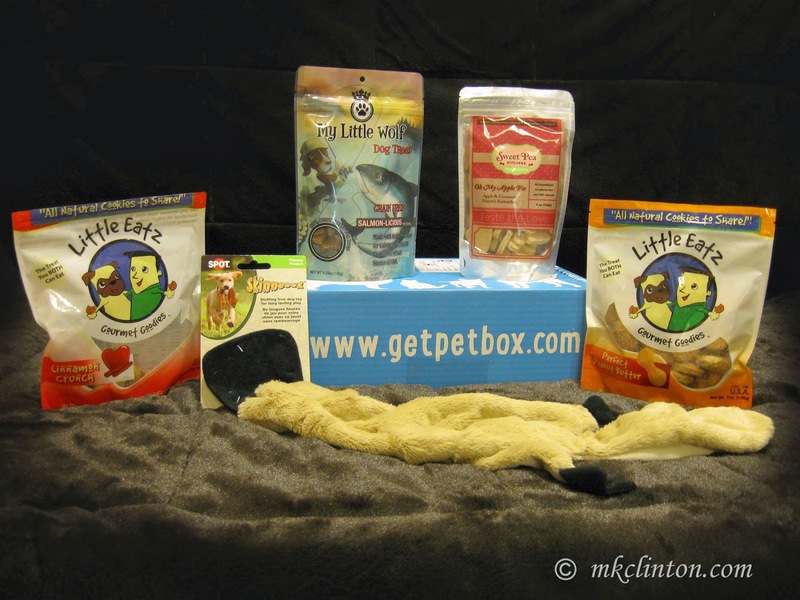 When I ordered my first PetBox for Bentley and Pierre, I chose some tasty treats for them to try. One of those treats was a bag of Little Eatz Gourmet Cinnamon Crunch Cookies. The moment that I opened the bag, I was impressed. The smell of cinnamon hit my nose about the same time that it hit Bentley’s and both of our mouths began to water. Mmmm, cinnamon! 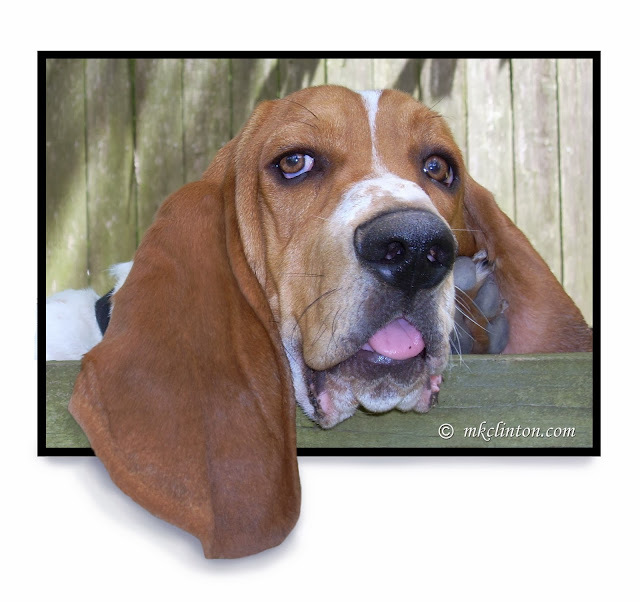 I offered one to my drooling Basset Hound sitting at my feet, while Pierre began performing his routine of tricks. They woofed theirs down and was eager to try just one more to make sure that they loved it. That was the same time I read something on the bag that shocked me. We can both eat the Little Eatz treats! I’ll let Bentley and Pierre tell you their version the story. 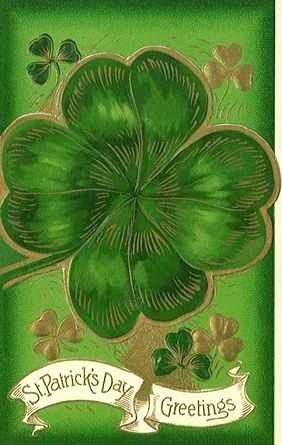 are not Irish, but it is said that everyone is a wee bit Irish today. We have certainly been having the luck of the Irish so far in 2014. Since I am also superstitious, I hope that talking about our luck won’t make it run out anytime soon. It has really been a great year thus far. Bentley and Pierre wanted to tell you some of the good fortune that we have been blessed with so far. They also seem to like taking over my keyboard lately. Now without further ado, here’s their take on our luck. Barking from the Bayou hopes you are having a wonderful weekend! We participate in Sepia Saturday and Black & White Sunday each week. 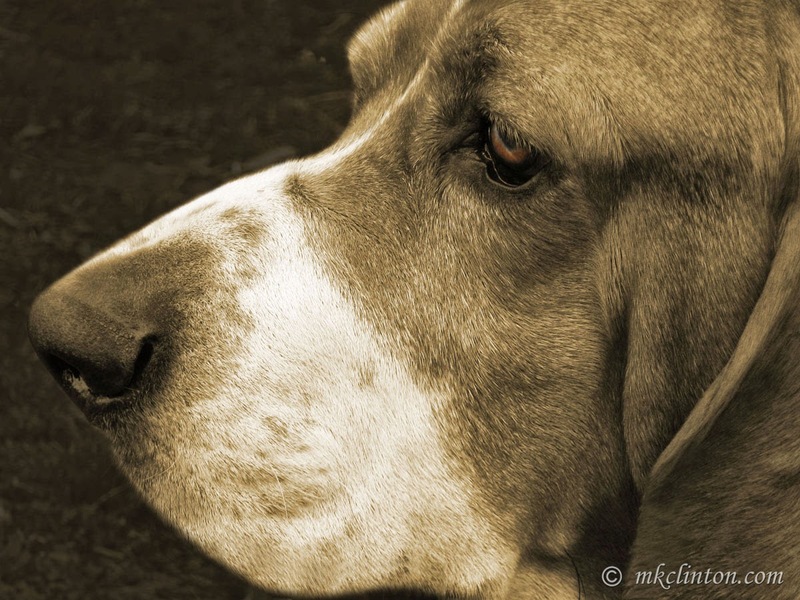 I love the photos that my fellow pet bloggers post and I’m sure that you will too. The other reason that I love it is because I get to show off my husband’s photography. I am definitely a snap shooter and he is more of a pose for me type of photographer. Neither of the boys aspires to become pin-up dogs. Since I have been blogging and taking tons more pictures of them, they have gotten more comfortable with the process. We were out taking pictures of them this week and Bentley actually stood still for his dad. I think that the results are quite lovely. Be sure to come back and visit through the week. I have some fun things coming your way! Happy Sepia Saturday friends! As I do every Saturday, I am joining Ruckus the Eskie for a great day of sepia photography. I appreciate Ruckus hosting this wonderful hop. I have to share some super exciting news with you before we go any further. The BlogPaws Community has chosen me as the Featured Pet Blogger for the month! Bentley is looking reflective in sepia. We hope that you are having a wonderful weekend! 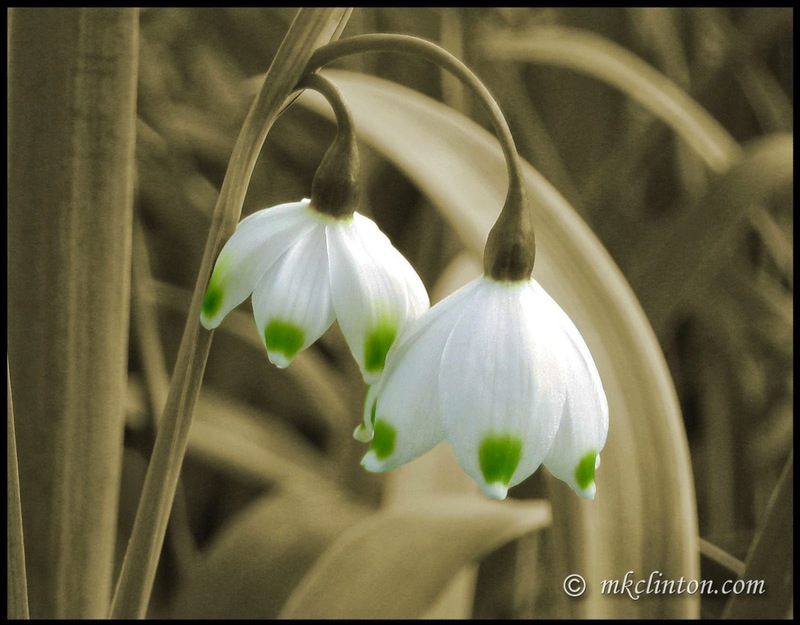 This is another Thoughtless Thursday Blog hop. I am hopping with the hosts Eskie the Ruskie and Love is being owned by a Husky. Today’s post is thoughtless because the great people at BlogPaws did the hard work for me. How can I possibly be speechless? 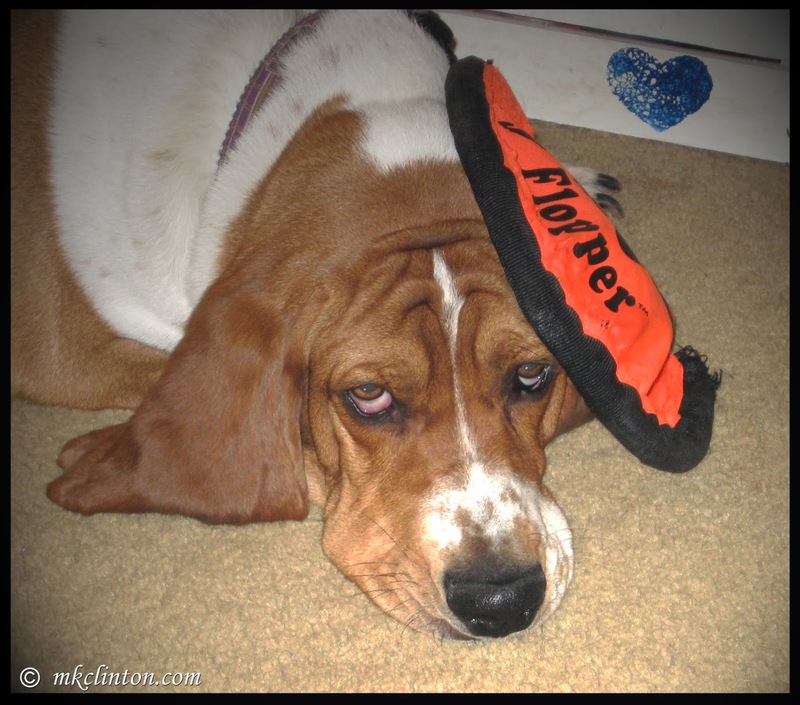 It’s Wordless Wednesday hosted by my Pet Blogging Pals at BlogPaws. I appreciate them hosting this silent hop and for all of the amazing help the community has been to me. Happy Tuesday! We are blogging double duty today. For the past couple of weeks, we have joined Tasty Tuesdays hosted by Kol’s Notes and Sugar the GoldenRetriever. Following this hop will lead you to drool-worthy recipes, you can paws at food related reviews, and sniff out all kinds of tasty blog posts. Yummmmm…Tasty Tuesdays! We love joining our wonderful friends over at Dogs 'n Pawz, our host the blog hop, Tuesday’s Tails. It shares stories of adoptable pets and shines a spotlight on the urgent need for us to opt to adopt. Please hop by to share these deserving pets’ stories. me and what joy he brings into my life each day. I’ve already filled two books with him as an FBI agent. 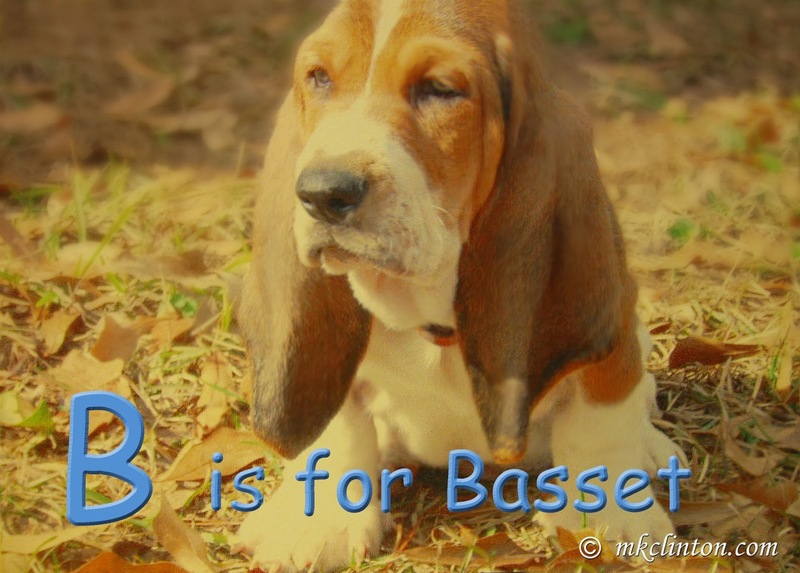 Instead, I thought that I’d share some Basset Basics with you. 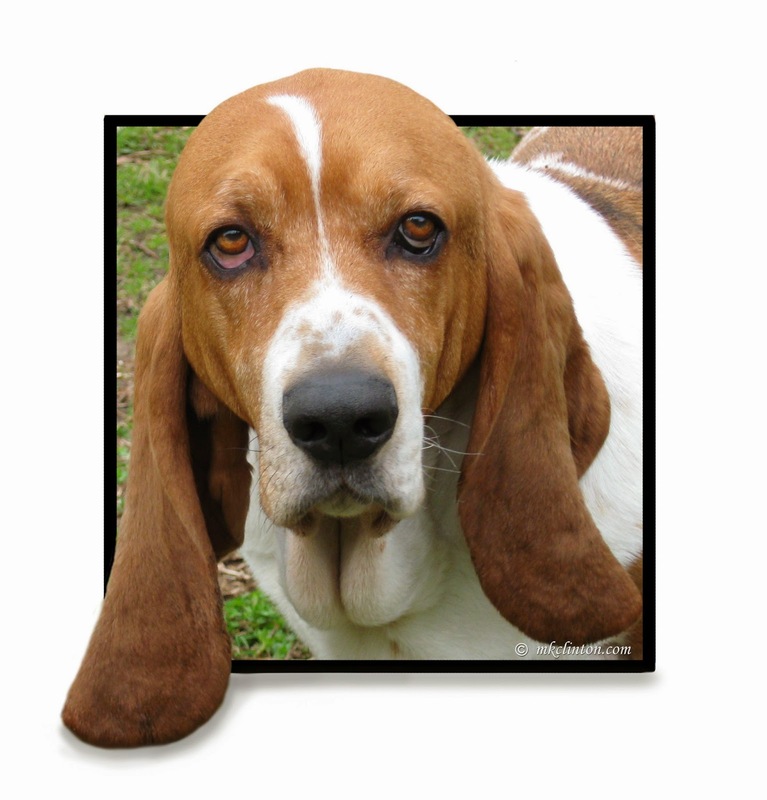 I referred to the wonderful book, The Basset Hound written by Bobbye Land for facts. 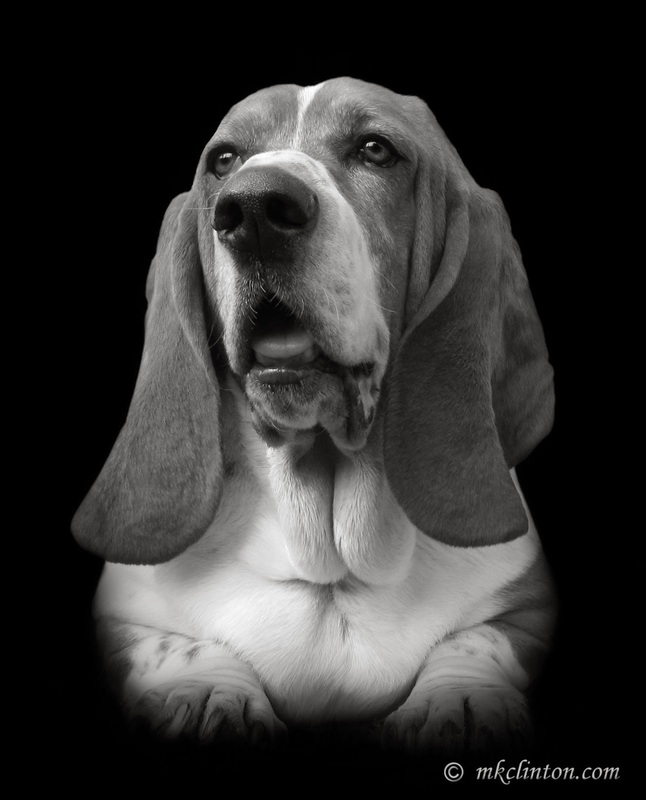 It is a fabulous book for anyone thinking about or already living with a Basset. Welcome to B & W Sunday on the bayou. As we do each Sunday, we are joining our pals DachshundNola and Sugar the Golden Retriever. You don’t want to miss either of these delightful blogs! If you’d like to join today’s hop, grab the badge, post ONLY black & white photography, limit text to 1 or 2 sentences, link up, and have fun. It’s another great Sepia Saturday Blog Hop thanks to the fabulous Ruckus the Eskie. If you’d like to hop aboard, all you need is a sepia photo, grab the badge, link back to the host, and join in the fun. “You mean we spring forward one whole hour tonight? Have you noticed anything cheery and bright on my sidebar? Last week, my blogger buddy Carrie Johnson from PawedBlog gave me a beautiful Sunshine Award. Thanks you so much Carrie! For anyone who is not familiar with her great blog, you are missing some wonderful posts. She is also starting a UK handmade dog accessories business. 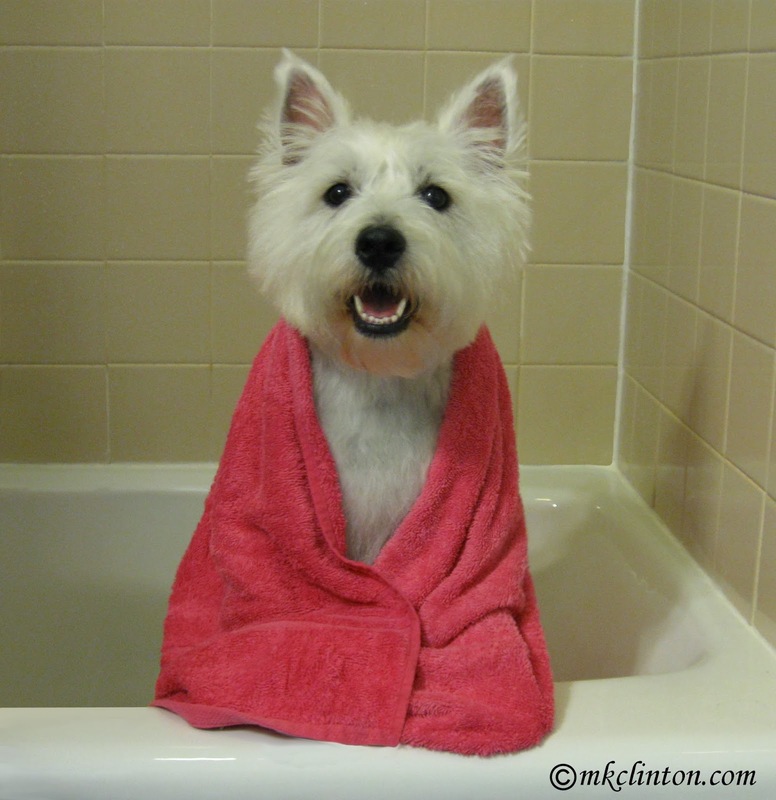 Since she has Myfie the Westie, I know my granddog Pierre will be stylin’ and profilin’ as soon as she is up and running! Carrie will have collars designed for all breeds and personalities. We meshed right away since she is crazy in love with her dogs too! Lately, I have been the epitome of “the hurrier I go, the behinder I get!” I have been trying to work on my time management between writing my next book, blogging, and maintaining a presence on Social Media. I have two words to describe my attempt, Epic Fail! After Tuesday night’s BlogPaws chat, I was relieved to know that I am not the only one trying to juggle balls while keeping the plates spinning on a pole. As always, I picked up some great “chat” tips and ideas. One is that an editorial calendar or at least a general calendar is a must-have for me. I can write down my blog posts, review dates, different chats or web events that are upcoming, and stop trying to remember everything. It takes up too much of my vintage brain’s remaining hard drive. Next and this is the hardest one for me; stop commenting on every blog that I visit. Blog hopping is as addictive as Pinterest. I tell myself to simply read a blog or look at a picture and hop along. I never listen because I visit and feel compelled to comment or say “hello.” If you aren’t following my Pinterest boards, please do. I have 33 boards with 2,819 pins! I have several boards for dogs, books, quotes, and some hilarious things that make me laugh. Anyway, you can see the problem. I’m always going to visit one more blog or pin just one more pin and before I know it, I spent half of the day! 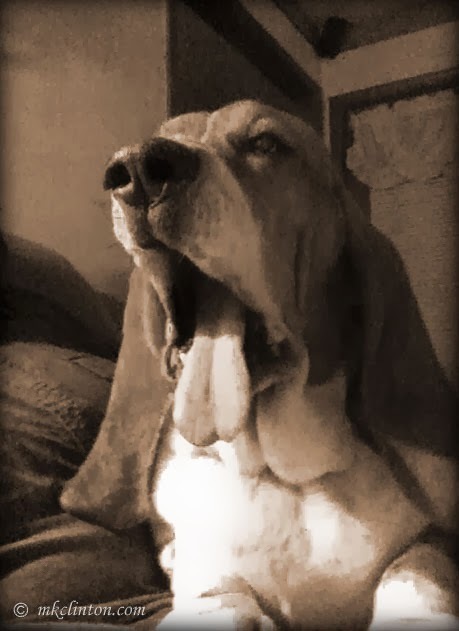 puddle of snoring Basset and think I simply must do better. How am I going to turn my thus-far Epic Failure into an Epic Win? This is my plan and I am going to try really, really hard to adhere to the time restraints. 1. Stop staying up all night. Since we’ve retired, our bedtime is the middle of the night. Earlier to bed, earlier to rise, yada yada. 2. Check my editorial calendar (after I make it), go through e-mail, check SM sites for updates, Retweets, likes, etc. the first thing in the morning with coffee. I’m going to have to pencil in a good 2 hours for this. 3. Visit my blog-hopping but restraining from commenting on every post. Maybe a share on Google+, Twitter, or Pinterest will be faster than commenting. Okay, I will still leave a few comments…heeheehee! I may limit this to 30 minutes three times a day. 4. Write my blog for the next day. I’m proud to say I am writing this post at 1:00 p.m. This is approximately 12 hours earlier than I usually write it. Do I feel a win on the horizon? If my thoughts are flowing, this takes about 2 hours. 5. Spend time with the boys reintroducing tricks, grooming, playing, and talking about their dog stuff. We are also requiring them to do a trick for a treat. They usually just demand a snack. Bentley has a treat mat, which is actually the mat for our kitchen sink. He will go sit on it and stare at his treat jar on the counter. If offered a treat, he runs over to sit on the mat. This is a work in progress. Pierre’s mom has taught him quite a few tricks so with him it’s just learning to mind Gramma. Bentley knows a few basic tricks but as I stated before, he doesn’t feel the need. We are working on his enthusiasm although he does perform a pretty awesome death scene. I have to dedicate an hour each day to their work. ***If you are counting along with me on my time spent, I have only used up 6 1/2 hours. If I wake up early, I could accomplish the majority of this list by early afternoon. 6. That leaves me the rest of the day to work on my new book. Time evaporates when I’m in my story. I cannot put a time restraint on this because one hour dissolves into four. 7. Oohh heck! I forgot to add in time to exercise. Okay, add at least 30 minutes for the exercise room. Maybe I can visit blogs while I’m on the treadmill. Skipper built a table mount for a laptop so you can surf and walk at the same time. 8. So, the way I have it figured is if I don’t eat or clean our house, there should be no trouble fitting everything into my day. Hmmm, if I don’t eat maybe I don’t need to exercise. No, I have to exercise because the conference is coming quickly. That’s my motivation now! As you can see my time management needs managing. I just have to start with a calendar. The other things that I learned on the BlogPaws chat were from @Blogpaws concerning Tweets. I still consider myself relatively new to Twitter. There are many tricks and rules that I am learning. I found these to be great and in case you missed them, I wanted to share. If you start a tweet with a mention, @mk_clinton, the tweet is seen by @mk_clinton. When you start a tweet with words before the @ mention, all of your followers can see the tweet. Adding a period before the @ mention will allow your followers and the followers of the @ mention to see the tweet. What I gathered from this is that if you want your tweet seen by more people; add something similar to “Hey. @mk_clinton, it’s nice to tweet you!’ This way you’re tweet is seen by your followers and the @ mention followers. Do you know any other tricks to get your tweets out to more people? Feel free to pass them along in comments! You can join the BlogPaws Chat three times each month on Tuesday nights from 8:00 ~ 10:00 p.m. EST. It is a great fast-paced chat with a main topic, lots of sub-topics, and prizes! Just hashtag #BlogPaws Chat to get in the conversation. I always make new friends, followers, and find out about new blogs. by H. Jackson Brown Jr. “Don’t say you don’t have enough time. You have exactly the same number of hours per day that were given to Helen Keller, Pasteur, Michelangelo, Mother Teresa, Leonardo da Vinci, Thomas Jefferson, and Albert Einstein.” I’ll bet they all had editorial calendars! 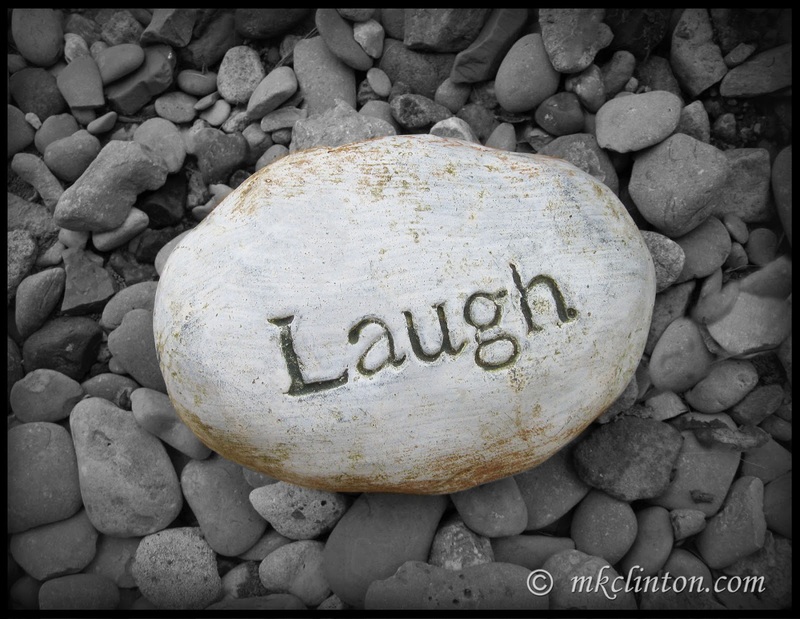 That is what’s on my mind for this edition of Thoughtless Thursday! How do you manage your time? Are there any ideas that you can pass along? Maybe you know some other time saving tricks for Social Media. Please leave your thoughts in a comment below. Then, hop over to visit my other blogging buddies. Times-a-wasting! It’s Wordless Wednesday hosted by BlogPaws. It gives you a break from the lengthy posts so you have time to hop around and enjoy some great photos! There are times when Bentley is just too cute for words! Thanks to my friends in the Blog Paws Community for hosting! Now, onward through the BLOGS! It’s Fat Tuesday, which is French for Mardi Gras. Fat Tuesday celebrates the final feasting before the fasting of Lent, which begins tomorrow, Ash Wednesday. 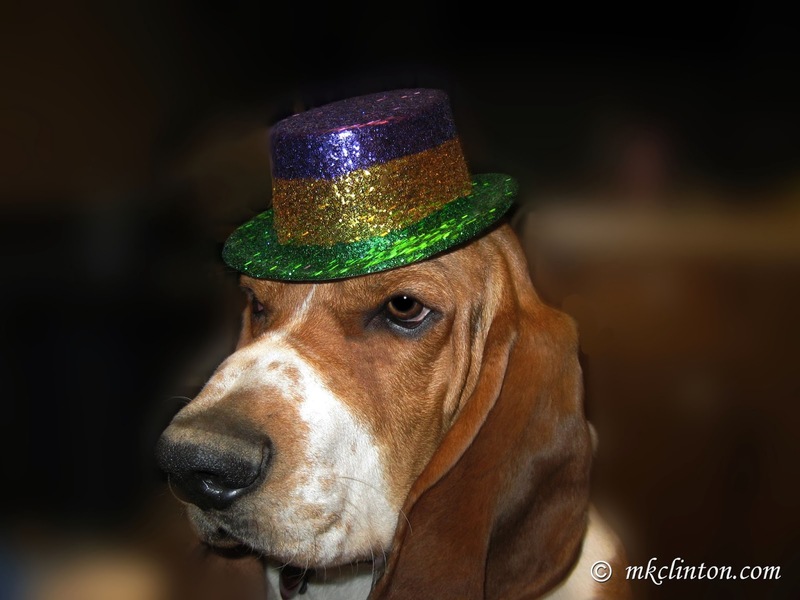 I always hate to see the merriment of Mardi Gras season come to a close. It is a special time here in Louisiana. I love having a laundry room. 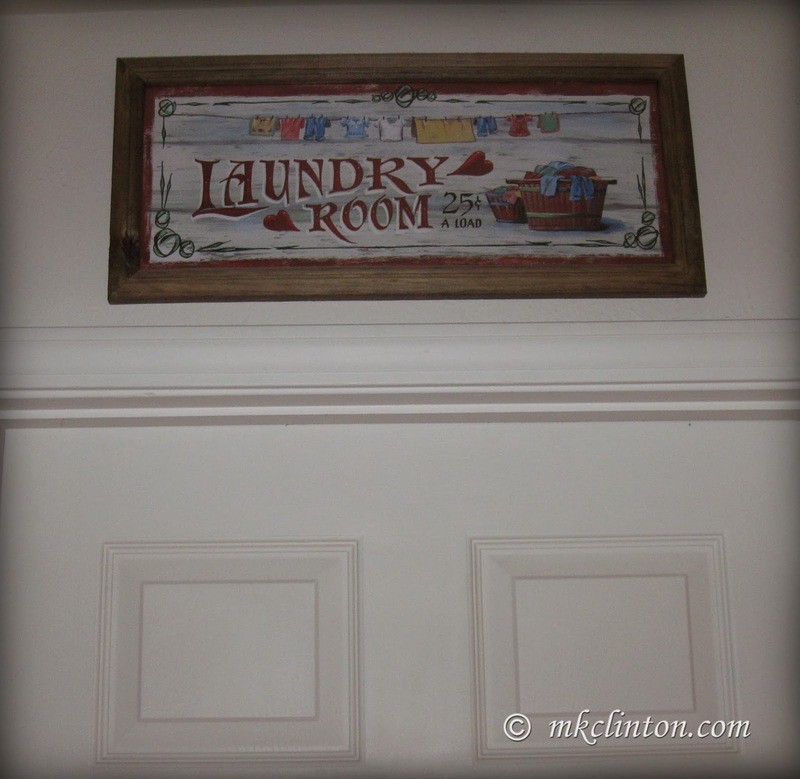 When the kids lived at home, it sometimes resembled a Laundromat or a popular dry cleaner. It’s easy to hide mounds of dirty clothes by closing the door! The laundry room holds something completely different for my “boys.” It seems to be a mysterious, but mischievous place. Let me give you some examples. Both of these blogs are fun, informative, and great photos! Be sure to hop over to visit them, you will be entertained. These jonquils looked so happy in my garden yesterday. who are still getting piles of snow. It is amazing how quickly our puppies grow up into mature dogs. Of course, no matter how old he is, he’ll always be my baby.